Modern Musicians. 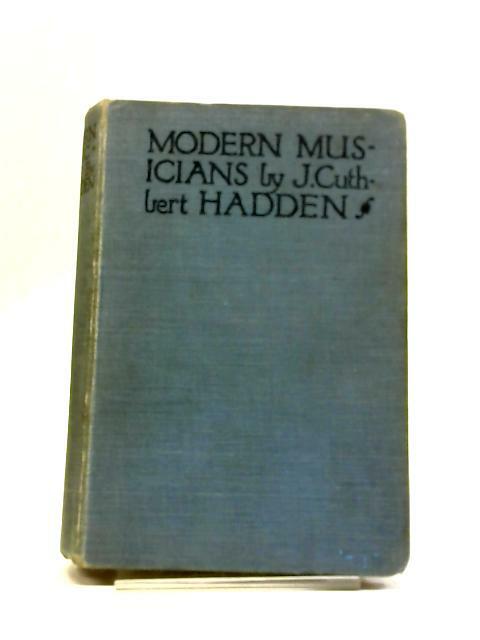 by J.Cuthbert Hadden. 1928. 266 pages. No dust jacket. Blue cloth boards with blue lettering. Owner's inscription to front endpaper. Rough cut page are lightly tanned and thumbed at the edges, with some creased corners and foxing. Boards are mildly rub worn, with some light shelf wear to spine, edges and corners, corners are bumped. Slight crushing to spine ends. Sunning to spine and edges.